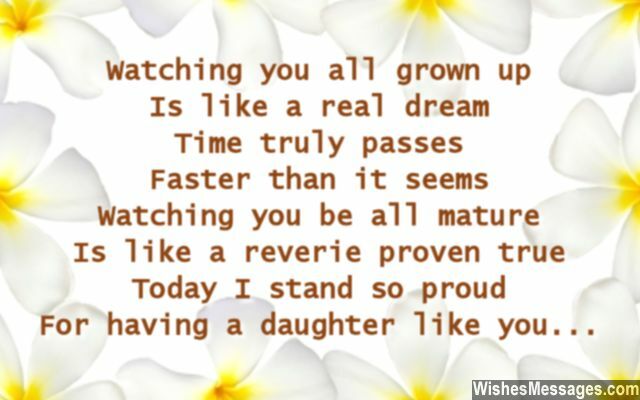 Birthday Poems for Daughter: If your love for your daughter is special, so should be your message on her birthday. Forget the cheesy quotes on stock greeting cards from the supermarket shelves. Write your own sweet poem in a handwritten letter or a cute little note. 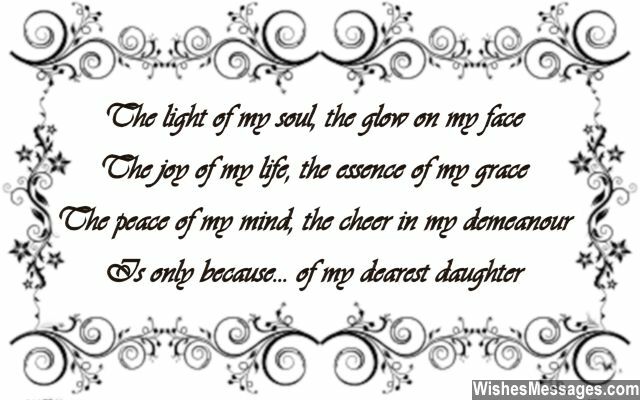 Whether your daughter is an innocent little girl, bubbly preteen, rebellious teenager or a mature young woman – give her a reason to believe that her mother and father are more than just nagging parents who are always pushing her to do well in life. 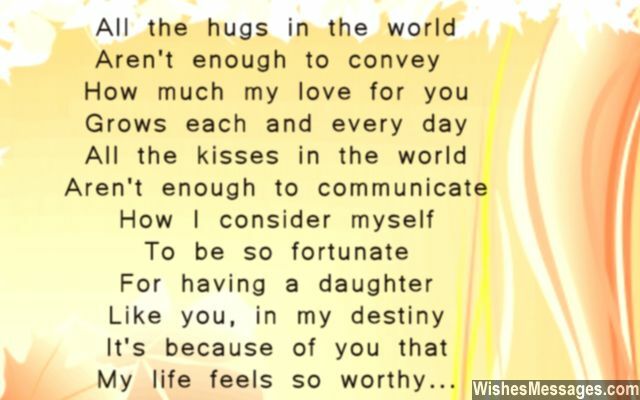 Post your short rhyme on Facebook and Twitter as well so you can show the world how loving a mom or a dad you really are.